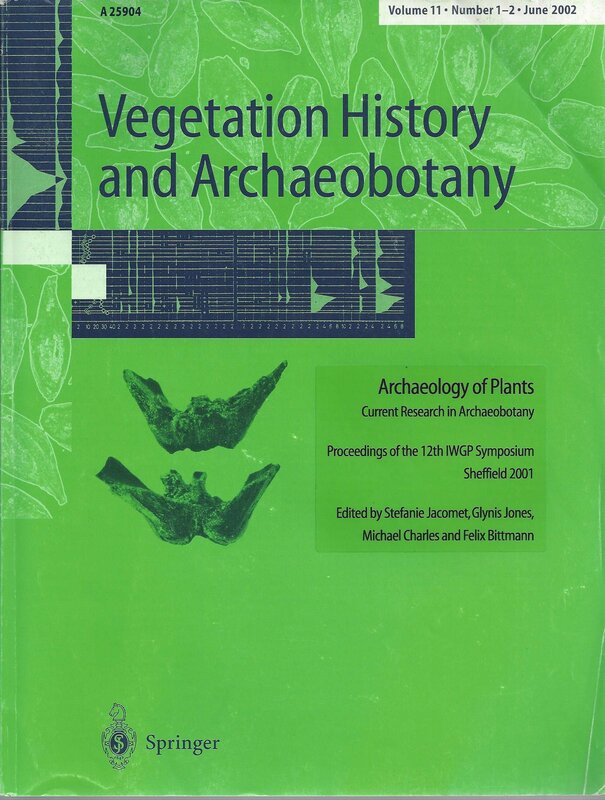 Spengler, Robert N., III (2018) Vegetation History and Archaeobotany. In the early 1980s Naomi Miller changed the field of palaeoethnobotany; her research into whether the ancient seed eaters of southwest Asia were human or herbivore opened an ongoing debate over the impact that burning of animal dung had on the formation of archaeobotanical assemblages, and how researchers can differentiate between human and animal food remains. As the number of systematic archaeobotanical studies across West Asia and many other parts of the world increase, we are continually confronted with the question of the significance of dung burning. Herd animal dung is the dominant fuel source in many parts of West Asia today and the high densities of seeds of wild plants in archaeobotanical assemblages suggest that people were using dung as fuel across Inner Asia for millennia. Seed assemblages that represent herd animal dung are assisting scholars in understanding palaeoecology and herd animal diet in the past as well as human economy and pasturing practices. However, interpreting these assemblages is not always simple and there are predictable biases that need to be taken into account, notably an overrepresentation of endozoochoric seeds (seeds dispersed through animal ingestion). In West Asia, the most prominent of such seeds in dung assemblages are from the Amaranthaceae family, notably Chenopodium. This entry was posted in Articles by robertspengler. Bookmark the permalink.